Shop the products used to create the knotted ponytail, and pin the final look below. If you’ve never used a volumizing and texturizing powder, you should. It’ll change the way you do basically any textured hairstyle. For buns, braids, and ponytails like this one, it not only adds body throughout and texture to the ends, but it also gives your hair some grip. The small nozzle pumps out an even mist, making it easier to control where you want the product to go. Plus, it’s talc-free, so dark-haired women can use without fear of a white residue being left behind. Texture spray is the finishing touch for 99% of the looks in our repertoire. 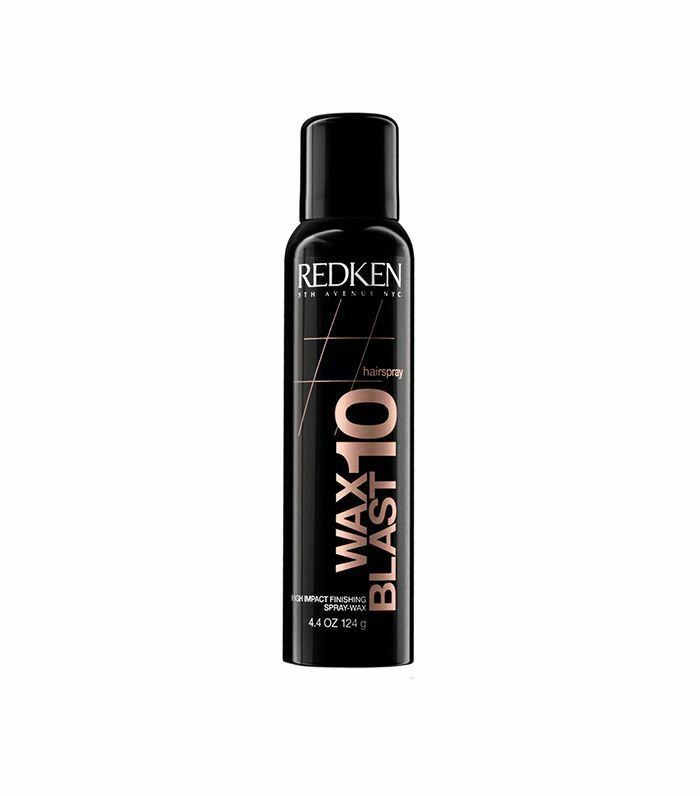 It delivers medium control and soft hold (without the hair spray feel), adds body and dimension, and turns getting that tousled, piece-y feel into a spray-and-go situation. Don’t let the thought of wax intimidate you. It comes out in a fine mist and gives you that little extra oomph. How long do you spend doing your hair in the morning? Think you can pull off this look in under seven minutes? Pin it to your hair board on Pinterest, and try it this week.